Valentines Day is around the corner and some Google AdSense publishers are reporting at WebmasterWorld that they received a card from Google, wishing them a happy Valentine's Day. 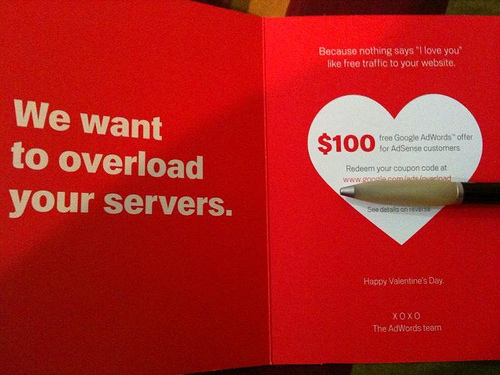 The card also includes a $100 promo code to use AdWords. 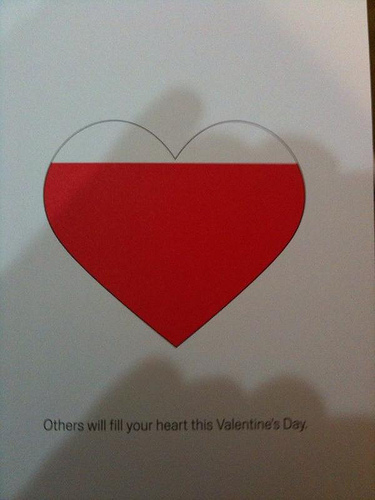 We want to overload your servers. The best comment from the WebmasterWorld thread is, "who said romance was dead."